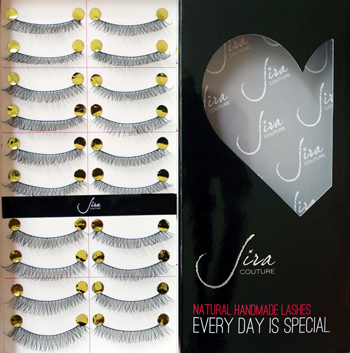 Movie Star Glamour for Brides – Courtesy of Jira Couture! As promised, dear brides – here comes your weekly beauty update! All my brides at A Day Like No Other – Wedding Coordination and Design so far had one overriding goal in mind for their looks on Wedding Day: BEYOND BEAUTIFUL. Beyond their best looks ever. Most of my brides even said: movie star glamour. On this one day, they’d go all out. I am pretty sure most – if not all – of you share that sentiment. Once in a lifetime! 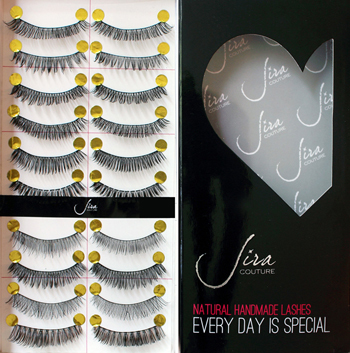 These lashes are natural AND handmade, and that’s not all. They come in a huge variety of shapes and styles. Look at the photos above and you’ll see right away how different the lashes are that each of the stars is wearing. 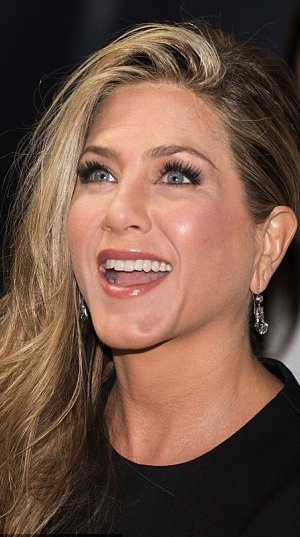 Jennifer’s are the most natural looking, opening the eyes; Kim’s are extreme and spiky, with no attempt at pretending to be natural; and Beyonce’s are long and “artfully irregular,” somewhere in between. So that’s the one criterion: how natural do you want your eyelashes to look? These here are “Natural” – the subtlest look of all. 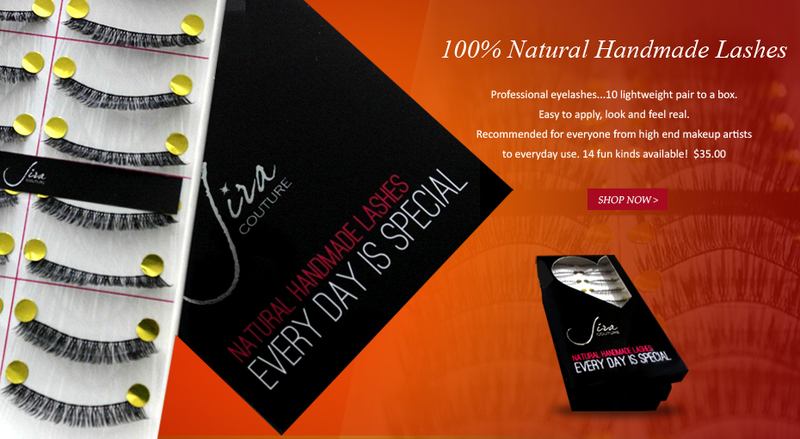 They’ll simply enhance your natural lashes and your natural beauty. And the perfect compromise between natural beauty and glamorous elegance for brides? “Bride’s Love” by Jira Couture! Long and feathery but not too heavy, they’ll give every bride’s eyes an instant boost. 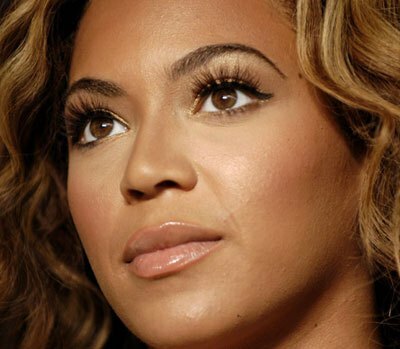 Round Eyes: To accentuate your eye’s circular shape, try long, dramatic false eyelashes that fan upwards. You may want to avoid lashes that are too thick – they can actually make your large eyes look smaller. Mono lid: False eyelashes are a great option for girls who have mono lids (aka no crease) because they create one for you. Monolids are very versatile, so feel free to experiment with different styles depending on the look you’re going for. I love the fanned out look on model Liu Wen above. Deep-set eyes: Women who have deep set eyes might be constantly trying to overcome what they view as a beauty handicap. 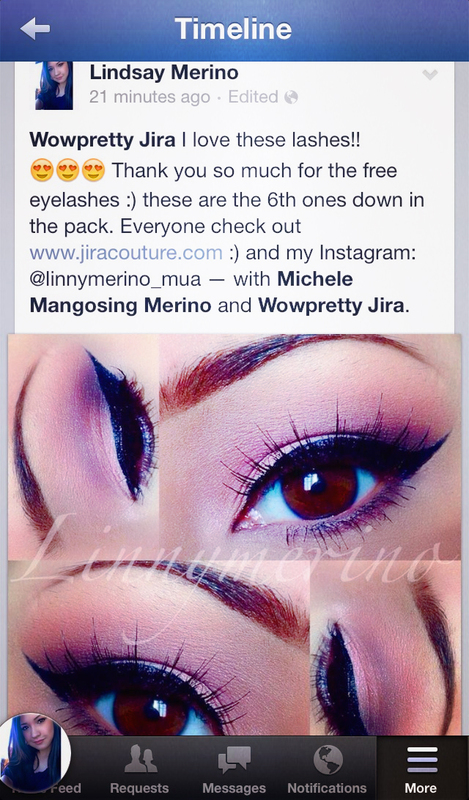 So to draw more attention to the eyes, it’s important to get long, full lashes that will make sure everyone notices. Now that was a lot of information in one sitting! Don’t despair – you can do it. 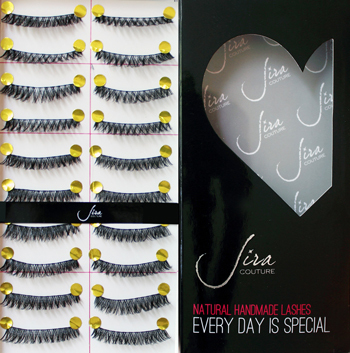 And if you are still undecided, I have the perfect solution for you: Jira Couture’s “Fun Pack” with fourteen different pairs of lashes. You’ll find your perfect fit there, guaranteed! And now have fun – experimenting! Shoot us an email which ones are your favorites, with “before” and “after” photos – jutta@daylikenoother.com and Jira.Wowpretty @Gmail.com Can’t wait to hear from you! !